MEET THE MOST COMPATIBLE PEOPLE AROUND YOU. 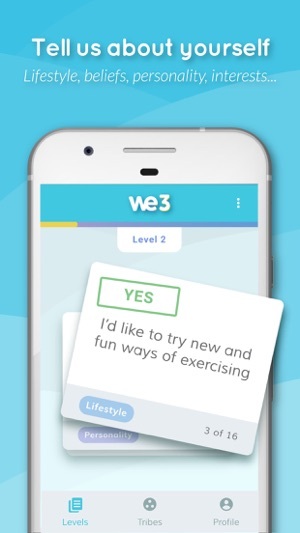 We3 is the friendship app where you swipe cards about your personality, lifestyle, beliefs, values...and We3 will add you to Tribes of 3 shockingly compatible people of the same gender. It also reveals your shared traits, mutual interests and common goals. Your profile is never public. Only those you match with can see you. We3 is exclusively for friendships. 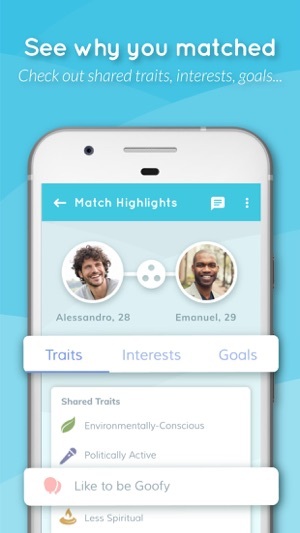 Matches are made in groups of three and with users of the same gender (3 guys or 3 ladies). Our algorithm reviews over a hundred individual characteristics to find you the best possible matches. 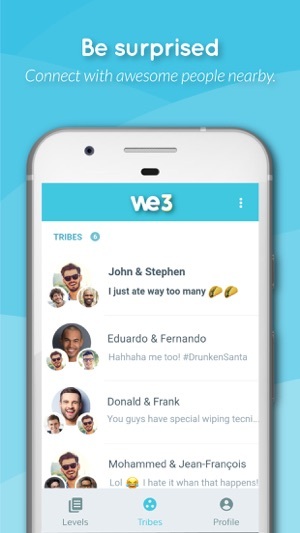 We3 (formerly Me3) is the simplest and fastest way for you to meet new people and make real friendships in a city. With the help of psychometricians and personality experts, we have developed 32 personality types. Discover what your personality type has to say about you. Don't want to wait? 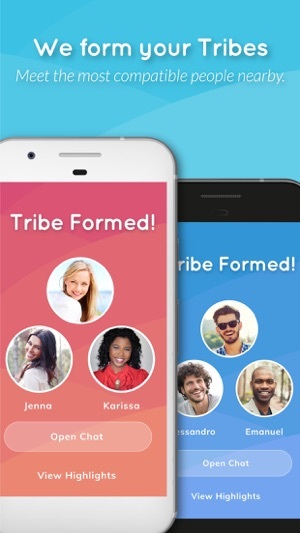 Free up some space on your phone and get an SMS when your Tribe is ready. We'll also send you a link to reinstall the app. Unlike other apps, We3 will never charge you to send messages or insist you pay to use the app. We3 changed names recently from Me3, however it's the same friendship app. Fewer, and smarter questions to answer. Unlock the chat as soon as a friend joins. Start more Tribes even without enough stars. Bug fixes for smaller screens and other small view improvements across the app. 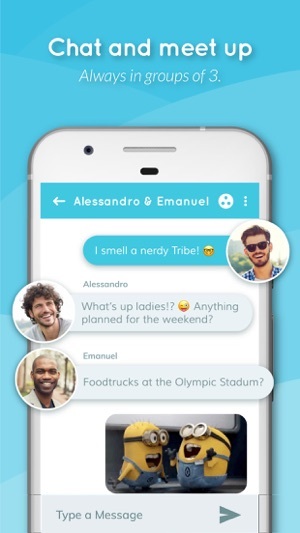 See if your Tribe members have seen your messages. I like the idea here. Make new friends; chat. No "social media", no fakery, nobody coming onto you. For someone in my 30's, It reminds me of the old days days of chatrooms and BBS forums. Except it's only three people, which really helps you establish some rapport. The only thing is that you can't establish your own "tribes" (hate that name by the way, tribalism is so insular and unwelcoming, very much cliquish "are you one of us?" proposition. Please call them something more like "social groups" or "cafe" or "meetups" or something - anything but Tribe!) unless you have coins. And you can get coins by paying (paying for Friends? I've reached a new low, then, but hey - better than ads. I get it), or free coins if you meet with your fellows in person. So why are the people in my tribes always on separate continents? I get invited to tribes where meeting up face to face is highly unlikely. I can create my own tribe to limit it to within driving distance, but that requires coins. And why is everything in kilometres? A minor complaint, I know, but it doesn't seem like this was meant for Americans. I got matched with a really funny friend in another city but it just didn’t work out because after the initial get to know each other we ran out of stuff to talk about online. I’m only available for lunches and she wanted to go on trips. If only we were in the same city. I met some other people in my city that we had a lot in common with each other on paper but I am just too random or quirky for them- I need to identify people with dirty minds and foul mouths. I know Im a strange combination. So I’d like to try again. Other apps for meeting friends feel too date like. So I really like it. I think this app is still too much in its early stages to be successful. I’ve tried this app a couple of times and it seems there are just a few kinks to work through. Problem this time was that I joined a tribe but one other person was pending for days. Couldn’t do anything on the app due to that. No more levels to go through so there was nothing else to do with the app. Didn’t wanna answer several questions again just to have enough points to search for a new tribe. I’ve found myself being stuck many times without being able to use the app at all due to its limited features and downloads. 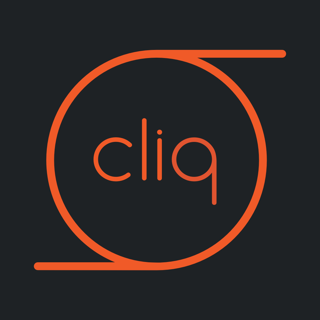 I believe this app has potential but it needs more to it than there is to make it more engaging and less boring. © We3, Meet People Inc.